Xceltech's career option removes barriers and gives you the platform to break into an industry that has seen unmatched growth in the last decade. Or maybe there’s a specific company you’ve had your eye on. Let us propel your name to the top of the hiring list. Advance your career with on-the-job experience and additional skills training and certifications. You can do it all with Xceltech. Our specialized recruiters match your skills and career goals to consulting opportunities that you'll find satisfying and rewarding. We leverage extensive client connections to get your foot in the door at Fortune 500 Companies. Once on assignment, we will continue to support you while you get first-hand knowledge about working there. At Xceltech, we know that your potential can’t be captured in a resume, job title or job description. With an understanding of your unique talents, experience and interests, we connect you to the right contract to positions to accelerate your professional success. As an Xceltech Employee, you would be eligible for our referral policy. Employees are eligible for a minimum incentive of $500 for every referred candidate who is employed by us. Employees may also refer projects and position openings. The same incentives apply for such referrals as well. 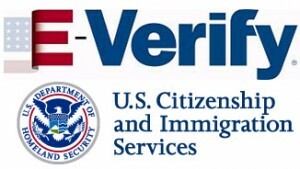 The E-Verify program is an online system operated by the Department of Homeland Security (DHS) in partnership with the Social Security Administration (SSA). The E-Verify program enables employers to determine employment eligibility of new hires and the validity of their Social Security Numbers.